So much is at stake in Britain’s negotiations with the EU. Amongst the many rules that protect us which could be threatened our rights at work are clearly imperilled. A race to the bottom in standards – favouring exploitative businesses and corporate polluters – is a real risk. First it was Mike Ashley with his near sweatshop conditions at Sports Direct followed closely by Sir Philip Green who plundered the good name of a high street institution. Both of these men hit the headlines for their immoral business practices. In truth they are just the latest names in a long line of rich, so called captains of industry, who hold money and power with no consideration for anyone or anything. These signed up members of the super-rich elite acquire untold riches often on the backs of ordinary working people. They play by their rules with no responsibilities to the rest of society, are quite content to float away from the rest of us rarely stopping to put right the carnage left in their wake. In the case of Sir Phillip this is quite literally true. While the future of 11,000 BHS staff and 20,000 pensioners hangs in the balance he relaxes on Lionheart his new mega million pound superyacht topping up his tan. This is why I will present a Ten Minute Rule Bill in Parliament on 7th September calling on the UK Government to underpin workers’ rights with the minimum standards set by the EU as well as developing a new settlement for working people. Sign the 38 Degrees petition today. Email your MP using the draft text below. If you don’t know who your MP is find out on the They Work For You website. I am writing to ask you to support Melanie Onn’s Workers’ Rights (10-Minute Rule) Bill, which will receive its first reading on Wednesday 7th September. This Bill addresses the collective rights and protections of UK workers that are currently enshrined in EU legislation. 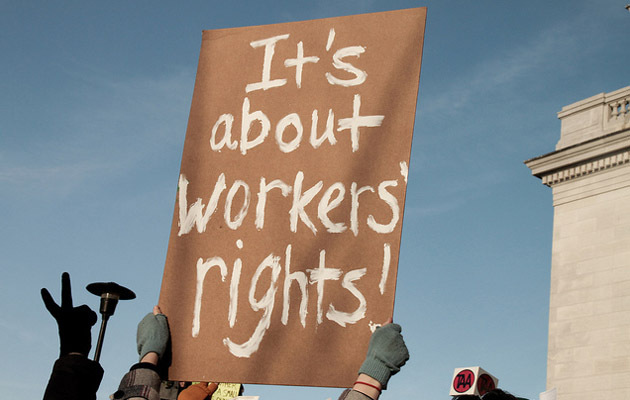 It is essential that the Government commits these rights to be fully and properly established into UK law to prevent any erosion of hard won collective entitlements that all workers benefit from. It will also provide a platform on which rights can be improved for the future. This Bill is important due to the uncertainty around the future trading relationship between the UK and the EU. In the event that the negotiations to leave the EU take us away from the Single Market and associated rules that come with that agreement, the UK will have make its own decisions about its laws for working people. We cannot assume that the status quo will be upheld. There are, of course, other treaties which help to protect workers, which the UK is fully subscribed to, for example, the European Social Charter of 1961 and conventions of the International Labour Organisation (ILO). However, the legal protections offered by these treaties fall far short of those in EU legislation. Without a full regulatory framework, it leaves workers at greater risk to the impact of future deregulating governments. The Workers Rights (Maintenance of EU Standards) Bill seeks to ensure that there is a floor of workers rights below which no contract or employer can sink. This applies to rights such as collective consultation in the event of redundancies (TULRCA), protections under the Transfer of Undertakings Protection of Employees (TUPE), health and safety rules and measures to protect employee representatives against detrimental treatment for carrying out their functions. Please support this Bill and back the Bill’s first reading on 7th September 2016.